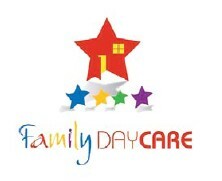 Canterbury Family Day Care provides Quality Education and Care services that operate under the National Quality Framework. Our Co-ordination Unit staff register and provide ongoing support to educators who provide education and care for up to four children under school age in a home environment. Our service offers education and care for children aged between 0-12 years. We provide care primarily for children aged 0-5 years as well as before/after school care and vacation care for school aged children. All our educators have completed qualifications in the early childhood field and also have current Certificates in First Aid, Asthma and Anaphylaxis. Our Scheme is an approved service. We offer Child Care Benefit (CCB) and Child care Rebate (CCR) to eligible families. Our educators provide a safe and secure environment for children in their service. Children are able to socialise in a small group and can develop a special and unique relationship with their educator. Educators provide a range of experiences for children based on their individual needs and interests. Educators provide opportunities for children to play and discover as part of their learning.